Azure Dunsborough Resort offers luxury living on Geographe Bay with absolute beachfront. The resort’s complete house & land packages are perfectly located, being only 4 minutes from Dunsborough and 10 minutes from Busselton. Buyers have the option to live there permanently, rent the property long term or allow the onsite management team to take care of it on a short stay basis. 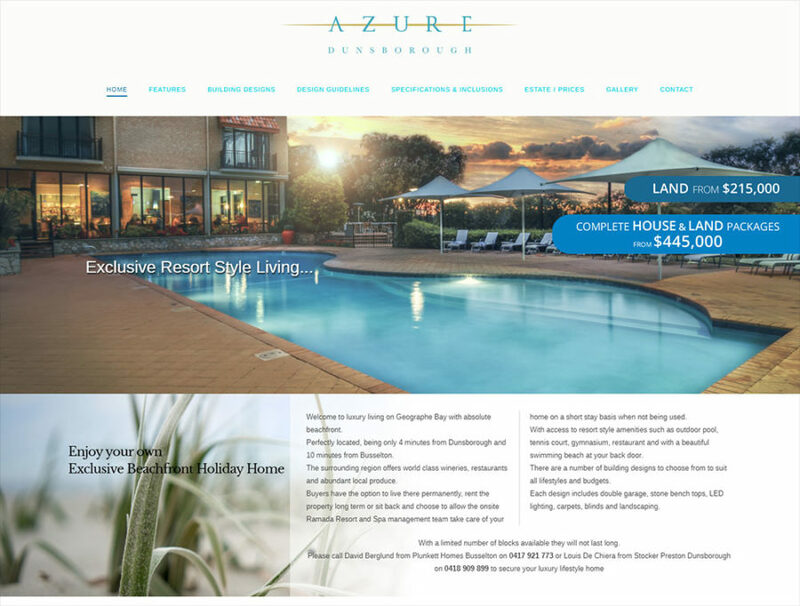 The Azure Dunsborough website is designed to demonstrate the luxurious beachfront holiday lifestyle on offer by using widescreen layouts and clean, solid colours to invoke a sense of freedom.